SNS volunteers conduct training workshops for women from underprivileged homes in three villages of Ghana: Mampong, Obom and Anomabu. 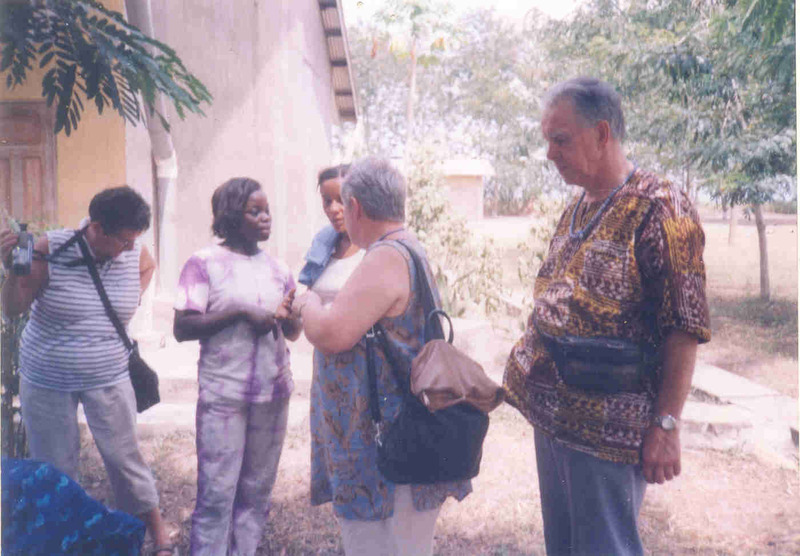 All in all, fifteen volunteers in Ghana have committed themselves to these projects. 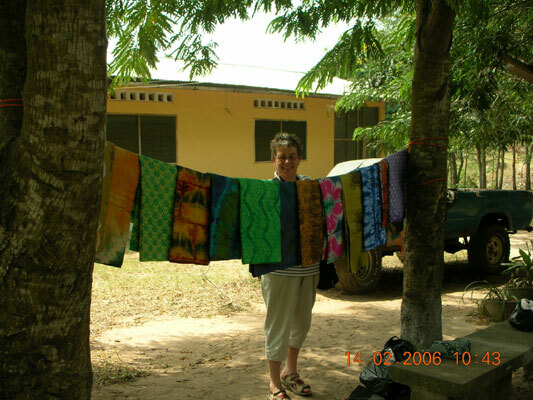 SNS also relies on volunteers outside Ghana in an effort to market these beautiful cloths and shirts internationally. If you can assist SNS in finding dealers or boutique managers who would be willing to start importing these products to your country, please contact Margaret Amamu or Henry Kofi Sampson. SISTERS NETCARE SERVICE is a church-related/ecumenical and not-for-profit, a community based organization that has over the years been involved in the fight against the abuse of the rights of women and children. The organization is also involved in the struggle for economic empowerment among poor and marginalized women through education, vocational training projects, care for the elderly in society and promoting various initiatives for peace, justice as well as to promote international friendships. The association enables the women to define their identity, to see and choose the effective methods of solving the problems which women face in their lives. Voluntary service opportunities for young people and adults with professional or vocational skills plus having had practical work experience and the unskilled are also welcome. 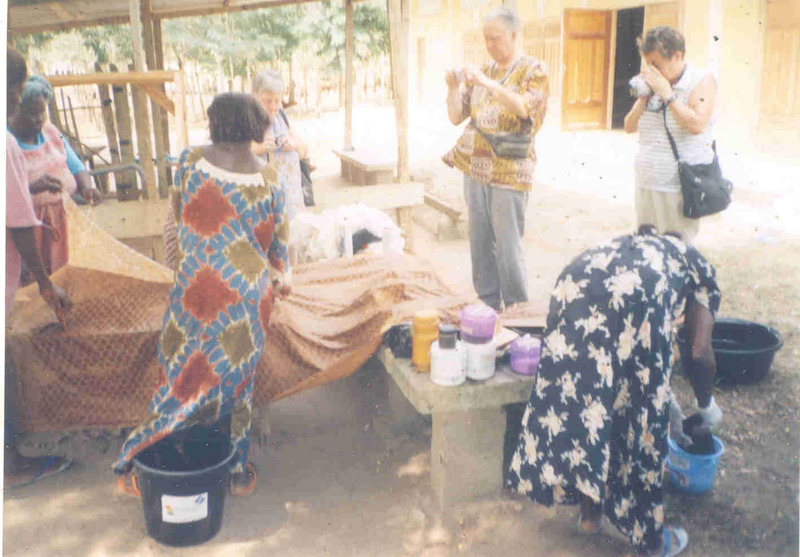 Volunteers from various backgrounds are welcome to share their time, gifts and experiences or expertise -- assisting the formation of cooperatives, women groups, literacy programs and women and children action programs. Sisters Netcare Service also recruits and prepares people to serve as development workers. Voluntary programs take place all year round and are motivated by concern for social justice and spiritual values. If our programs and projects are similar to yours, we shall be more grateful if we could establish a voluntary exchange contact with your organization; this will also build bridges of understanding and encourage personal contacts. You can also add our address in any of your publications. Do not hesitate to contact us for any further information. The two smaller photos were taken when volunteers from Germany came to learn about our association. They wanted to see how batik tie and dye products are made.